← Is New York City on the Brink of a Great Awakening? What stands out about this devotional are five positive elements: (1) This book is like reading wisdom from a wise godly grandfather – it is biblical, but lived out on the anvil of many years of godly Christian living; (2) It is saturated with Scripture – each author quotes an abundance of Scriptures in illustrating and applying each truth they present; (3) It is God drenched – all of the meditations elevate your view of God and help you to focus on His glory. (4) It is filled with practical applications. (5) It leads you time and time again to worship the Lord in prayer – particularly – gratitude, thanks, and adoration. 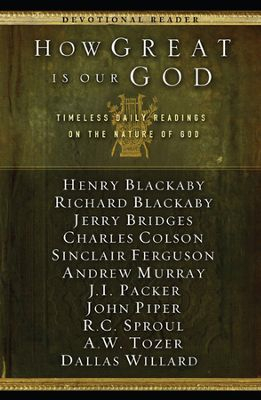 For these reasons of balancing the head, heart, and hands for God’s glory I highly recommend this excellent devotional.